A straightforward treatment describing the oxidation processes of metals and alloys at elevated temperatures. This 2006 second edition retains the fundamental theory but incorporates advances made in understanding degradation phenomena. 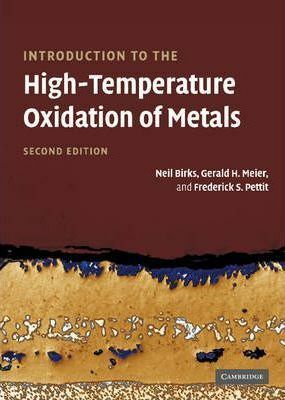 The first half provides an authoritative introduction to the basic principles, covering thermodynamics and mechanisms of high temperature corrosion of metals and alloys. The latter half extends the discussion to oxidation processes in complex systems, from reactions in mixed environments to protective techniques, including coatings and atmosphere control. The authors provide a logical and expert treatment of the subject, producing a revised edition that will be a comprehensive guide to material scientists and engineers requiring an understanding of this elementary process.